Identify your skin color and tone and choose an exact shade of foundation.Indian women hoodwink themselves into thinking that buying a lighter shade might make them fairer which is not true.It might make you look ghostly though. 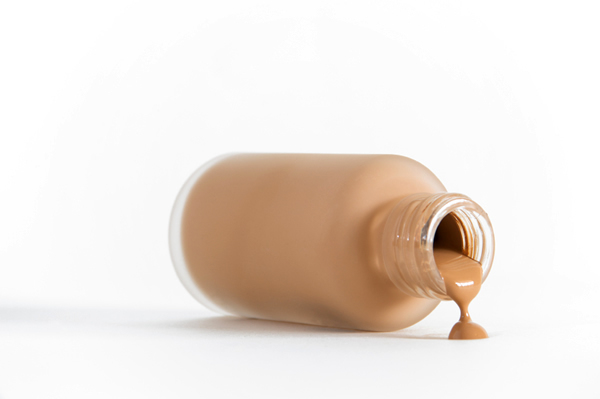 Always swatch the foundation before buying and preferably in natural light.Also swatch on your face rather than your hand/arm.Better still ask the MUA to apply it on your face.This way you will know whether it suits your skin type too. Choose foundation according to the coverage you want.If you have great skin and are just looking for foundation to even out your skin use a tinted moisturizer instead. Always apply on clean and moisturized face.A while back I used to mix my foundation with a bit of moisturizer and apply and it always came out splotchy and uneven .But ever since I started applying it after moisturizing my face the application was smooth and even. To achieve the perfect blended look use sponge or brush.Using your fingers to apply foundation might not give you an even finish. Apply only on problem areas instead of painting it onto your entire face.It gives your skin more breathing space.You could apply it all over if your looking for even coverage. Dab it in and never rub or swipe.If you are using a brush then take out some foundation on your hands and dip the brush in it and press and dab onto face.If you are using a sponge dot foundation on your face and then use the wet sponge to again dab it in.You can also use your fingers for this technique. Always apply foundation with downward strokes to accommodate your the facial hair and help smother it.A male MUA actually gave me this tip.Weird huh? If you want lipstick to stay longer and give a better color payoff then apply foundation on your lips too. Set foundation with powder and don't use the puff that comes with the compact.Instead use a fluffy brush.This will make the application smoother and even. There are lots of information about the foundation. Foundation making is not a difficult task. I think you follow some rules. than you can easy done it. Thanks for nice posting.